As per estimates, more than 12 million elevators make seven billion trips and move over one billion people every day across the globe. A study by Columbia University students found that in New York City office workers spent a cumulative 16.6 years waiting for elevators, highlighting the importance of increasing the availability and efficiency of elevators. The growth in population in the cities forces expansion of its footprint without sacrificing open spaces and parks. That’s why the number of tall buildings along with their height is on the rise. The half the world's population already lives in cities and it will rise to 70% by the end of the century. In fact every day, builders put up the equivalent of a one-million person city! Optimizing vertical development and preserving greenbelts for nature and recreation are priorities in today’s smart cities. Mid- to high-rise buildings offer the most economical and environmentally viable solution to numerous urban challenges. With conventional elevators, the taller the building, the more shafts you need and the more space you waste. Standard elevators also limit skyscrapers’ functionality, design, and shape. That’s why innovative solutions for moving people efficiently in these ever-higher buildings are a must. 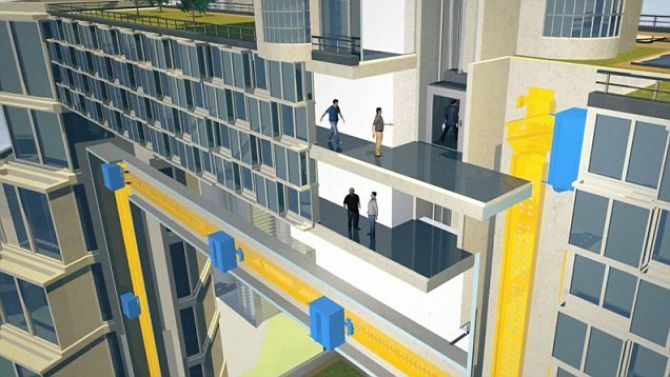 Would you ride a cable-free elevator? The World's first multi-directional 'Wonkavator' is now a reality! 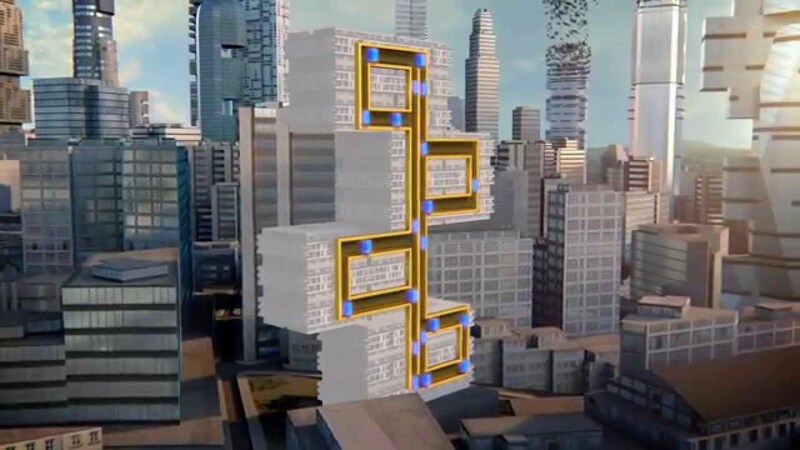 Now, ThyssenKrupp introduces the world's first rope-less and sideways-moving elevator system 'MULTI', one of the industry's most forward-thinking innovations created since the 19th century. It's the world's biggest Pac-Man game! Indeed futuristic for big mega malls and commercial complexes and also for residential areas which have multiple towers or big markets so that people can move seamlessly with making use of such system. 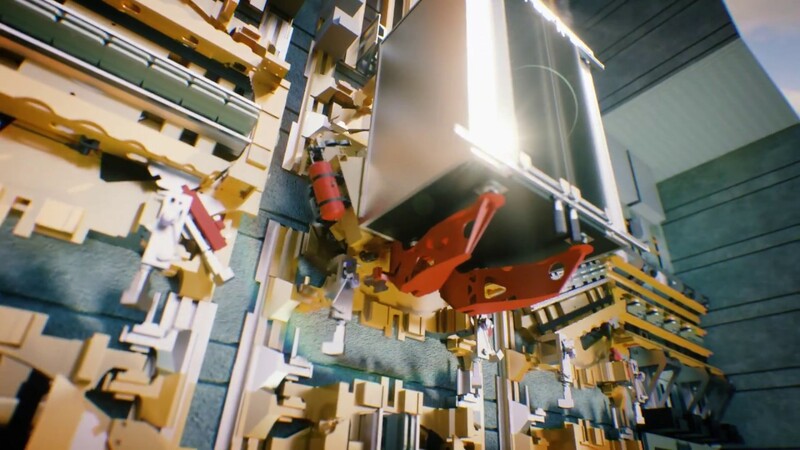 This cable-free, Willy Wonka-style concept, can move multiple cars vertically and horizontally in a single shaft using a magnet-based drive system similar to that of Maglev train technology. Instead of one cabin per shaft moving up and down, the MULTI offers multiple cabins operating in a loop, like a metro system inside a building. Replacing cables with linear motors that allow vertical as well as horizontal travel not only results in more cabins being able to travel along single shafts but also offers architects entirely new possibilities for building design. Using Leveraging linear motor technology, MULTI combines rope-less linear motors and horizontal mobility with the many advances of our TWIN elevators. It makes MULTI a valuable shuttle for optimizing traffic and a double-entrance lobby further increases its flexibility and handling capacity.